Welcome to the Ray County Library! We serve all citizens of Ray County and are located in the county seat of Ray County in Richmond, Missouri. The Ray County Library is less about what we have for people and more about what we do for and with people. 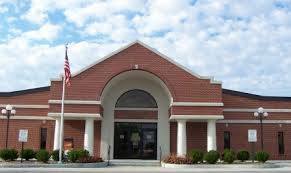 The Ray County Library’s mission and purpose is to inform, inspire and enrich the community. ​​Want to work at our library? You may fill out the application below and mail or bring it to the library. If we do not currently have any positions available, we will keep your application on file and notify you when we do have an opening.